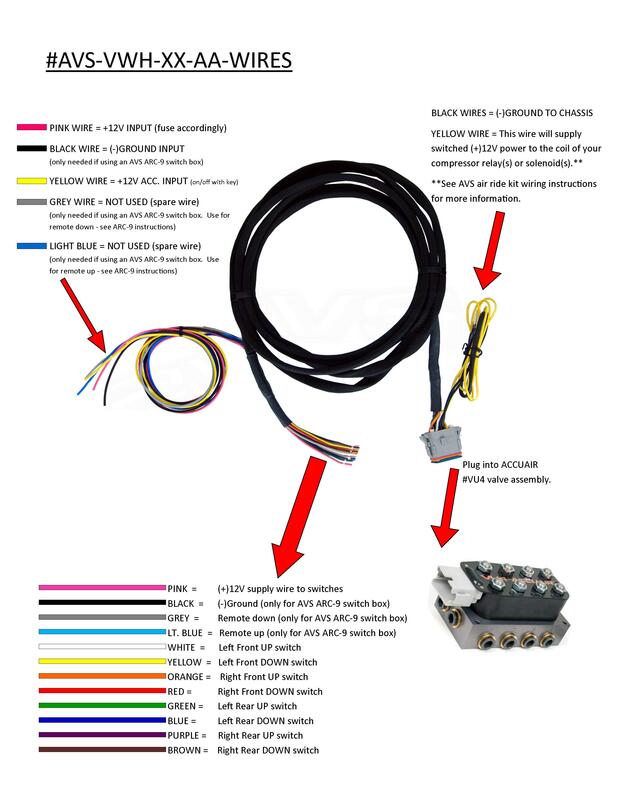 AVS brand, plug and go wiring harness. Plugs directly into Accuair's VU4 manifold valve, with stripped wires to use for any brand switchbox or individual switches. Also includes accessory wire to provide switched power to your compressor's relays/solenoids. Standard length is 10-foot. You can upgrade to a 15' or 20' long harness by clicking on the option below. Custom lengths are available, please call (559) 486-5444. Click the button below to add the AVS VALVE WIRING HARNESS 10', 15', 20' - ACCUAIR VX4 VALVE TO STRIPPED WIRES to your wish list.